How Far is Kailash Pratik Regalia? 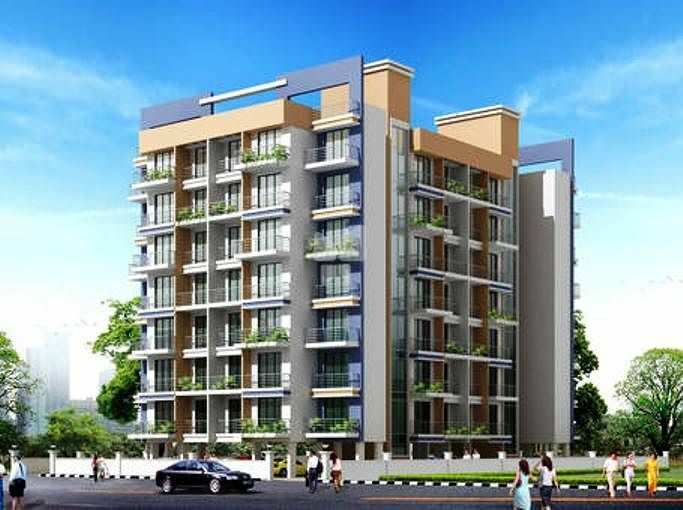 Pratik Regalia, located in Mumbai, is a residential development of Pratik Construction. It offers spacious and skillfully designed 1BHK and 2BHK apartments. The project is well equipped with all the basic amenities to facilitate the needs of the residents. The site is in close proximity to various civic utilities. Wooden doors with laminate on both sides in every room with elegant handles and locks. Granite Kitchen platform with stainless steel sink and ceramic tiles up to 2 ft.
All Internal wall Gypsum finished with washable interior paint. Anodized aluminium sliding window with clear glass & granite window sill. Cable TV / Telephone point in Living room and M. Bedroom. Branded concealed copper wring with MCB / ELCB. Well-designed bathrooms with deluxe bathroom fittings. Tiles dado up to beam bottom for WC & Bath. Concealed plumbing & C. P fittings of reputed make.